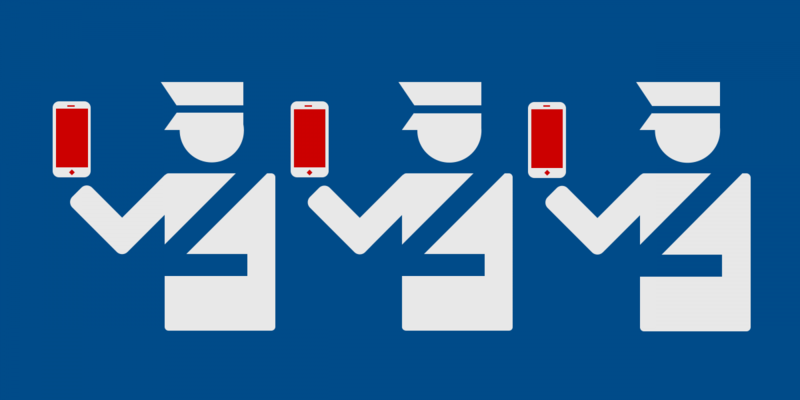 Boston, Massachusetts—The Electronic Frontier Foundation (EFF) and the American Civil Liberties Union (ACLU) sued the Department of Homeland Security (DHS) today on behalf of 11 travelers whose smartphones and laptops were searched without warrants at the U.S. border. The plaintiffs include a military veteran, journalists, students, an artist, a NASA engineer, and a business owner. Several are Muslims or people of color. All were reentering the country from business or personal travel when border officers searched their devices. None were subsequently accused of any wrongdoing. Officers also confiscated and kept the devices of several plaintiffs for weeks or months—DHS has held one plaintiff’s device since January. EFF, ACLU, and the ACLU of Massachusetts are representing the 11 travelers. “People now store their whole lives, including extremely sensitive personal and business matters, on their phones, tablets, and laptops, and it’s reasonable for them to carry these with them when they travel. It’s high time that the courts require the government to stop treating the border as a place where they can end-run the Constitution,” said EFF Staff Attorney Sophia Cope. Another plaintiff was subjected to violence. Akram Shibly, an independent filmmaker who lives in upstate New York, was crossing the U.S.-Canada border after a social outing in the Toronto area in January when a CBP officer ordered him to hand over his phone. CBP had just searched his phone three days earlier when he was returning from a work trip in Toronto, so Shibly declined. Officers then physically restrained him, with one choking him and another holding his legs, and took his phone from his pocket. They kept the phone, which was already unlocked, for over an hour before giving it back. · Ghassan and Nadia Alasaad are a married couple who live in Massachusetts, where he is a limousine driver and she is a nursing student. · Suhaib Allababidi, who lives in Texas, owns and operates a business that sells security technology, including to federal government clients. · Sidd Bikkannavar is an optical engineer for NASA’s Jet Propulsion Laboratory in California. · Jeremy Dupin is a journalist living in Boston. · Aaron Gach is an artist living in California. · Isma’il Kushkush is a journalist living in Virginia. · Diane Maye is a college professor and former captain in the U. S. Air Force living in Florida. · Zainab Merchant, from Florida, is a writer and a graduate student at Harvard University. · Akram Shibly is a filmmaker living in New York. · Matthew Wright is a computer programmer in Colorado. The case, Alasaad v. Duke, was filed in the U.S. District Court for the District of Massachusetts.